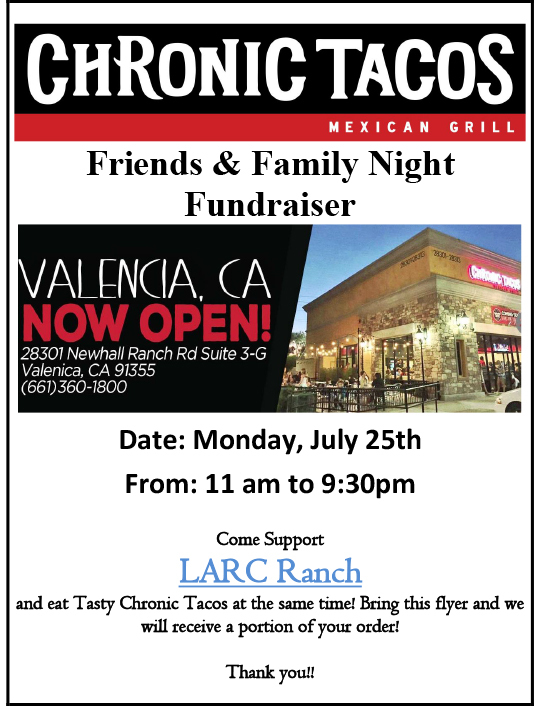 LARC’s supporters at Boston Scientific are hosting a LARC “Friends and Family” fundraiser at Chronic Tacos this Monday, July 25! Bring this flier to the Chronic Tacos on Newhall Ranch Road and a portion of the proceeds from your order will benefit LARC Ranch! Special thanks to both Boston Scientific and Chronic Tacos for the support!